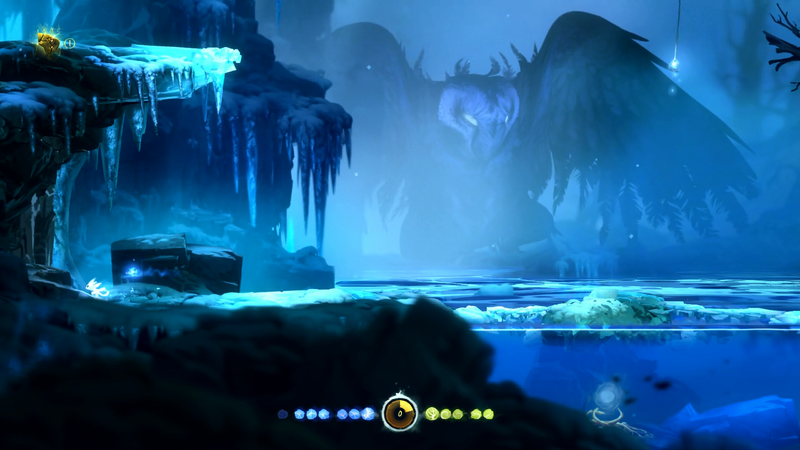 Welcome to another episode of Ori and The Blind Forest. In the last episode we had arrived at Kuro’s nest. As always you can watch this episode at the bottom of this post. We travel further into the nest and find an egg. 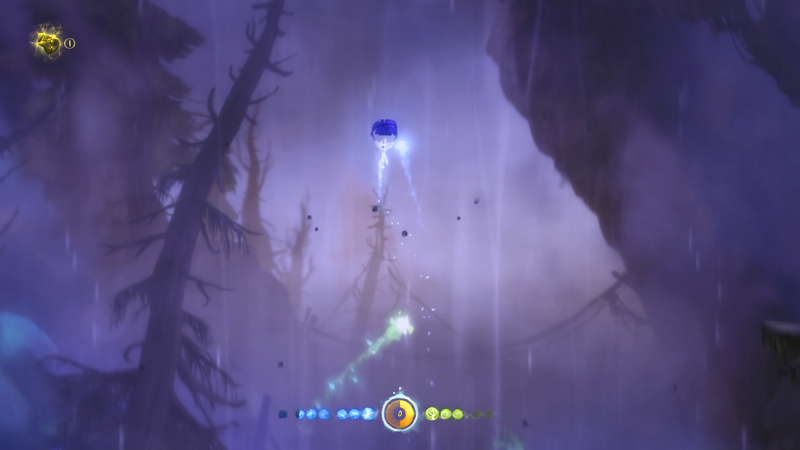 A cutscene starts to play. We see Kuro with her children. This seems to be a flash back. Kuro leaves the nest to go find some more food leaving the children alone. The big tree seems to start spewing out light energy. 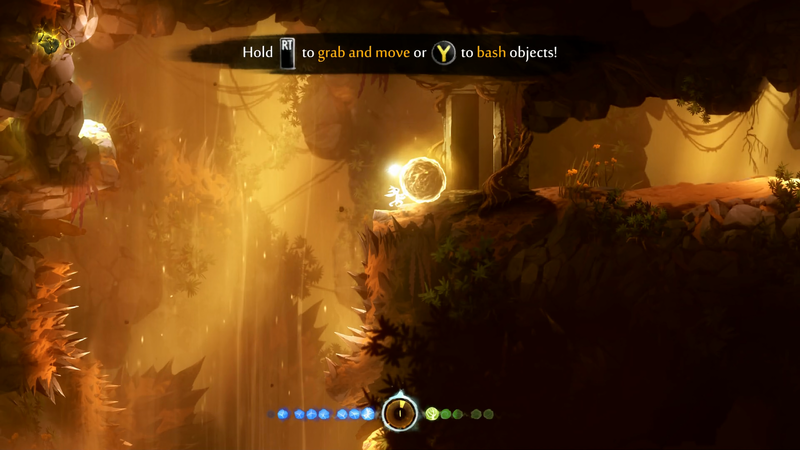 The light spreads throughout the forest, reaching Kuro’s nest. 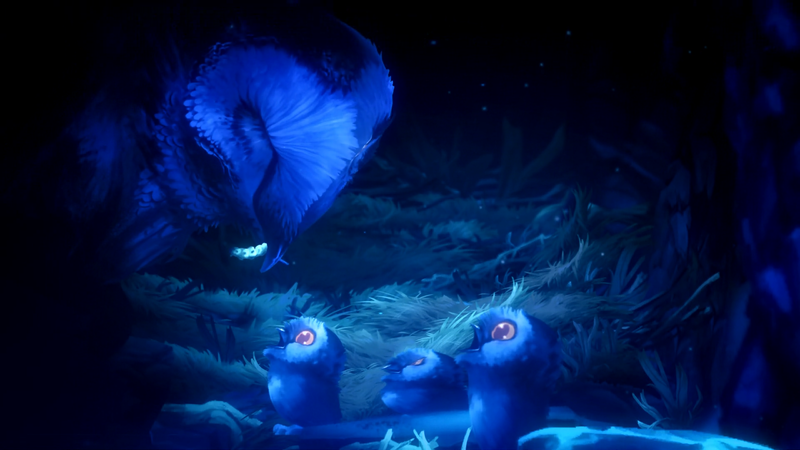 Kuro’s children start to be engulfed by the light. Kuro hears the cries of her children and hurries back. Unfortunately she is too late and they have died. This is why Kuro hates Ori’s light. Back to the game now and Kuro immediately appears where we are. She is obviously not happy with our presence so Ori jumps off the cliff down to the ground. We are back now near the outside of the ruins. The gameplay makes a drastic change. We must now escape this area while hiding from Kuro’s gaze. If we stay in her line of sight too long that will be the end of us. We barely escape from Kuro. Now the whole map is filled with wind. We must now travel to Sorrow Pass. We take Ori back to where the raging river is. This place now has an air stream. This allows us to travel up to Sorrow Pass. 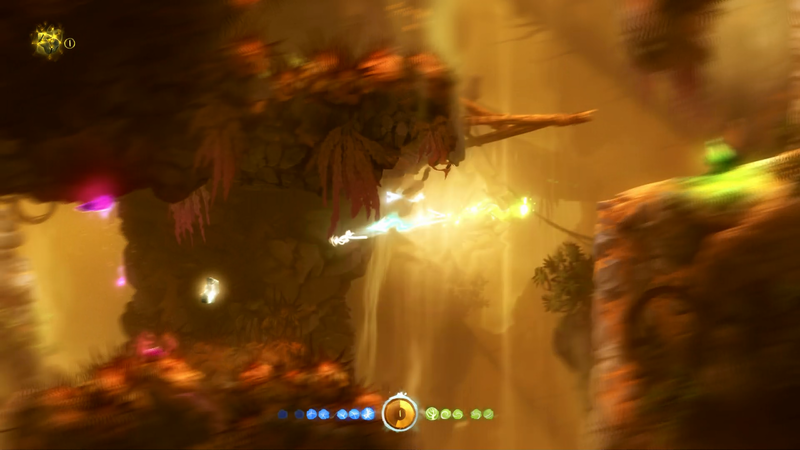 The place is pretty much a minefield of spiky walls, stray projectiles and crazy winds. There are shards located around. We have to collect them for a door we have yet to see. We unlock more areas which in turn tell us more about the state of the world around us. We collect enough shards and unlock a door to the next area. There are some large rocks that we have to use to block some of the energy beams that are closing our way. We get ourselves a bolder and this is where we end this episode. Thank you for reading and thank you for all of your support.